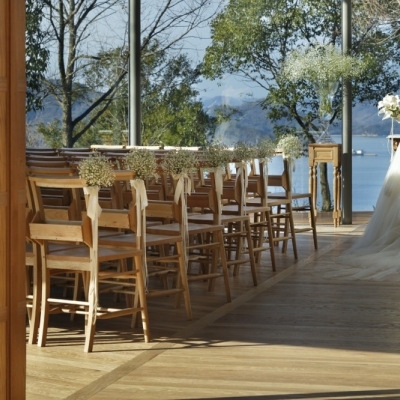 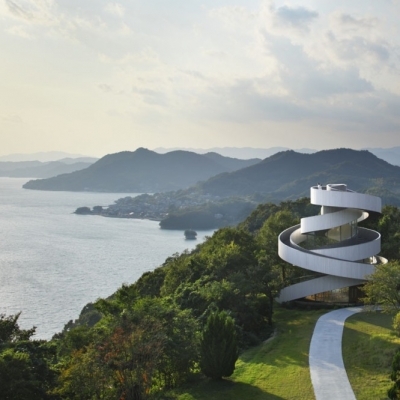 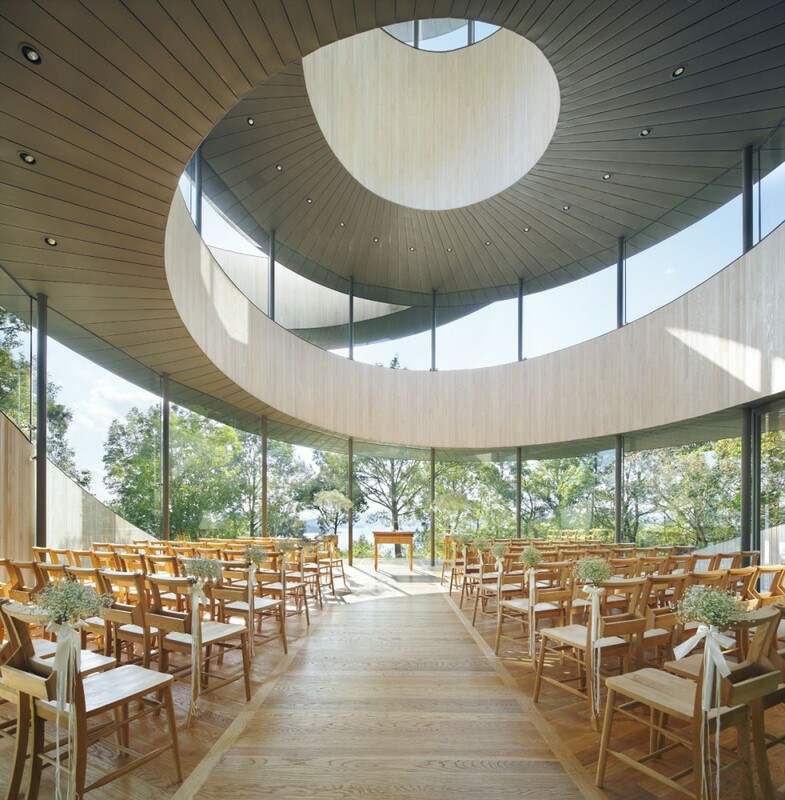 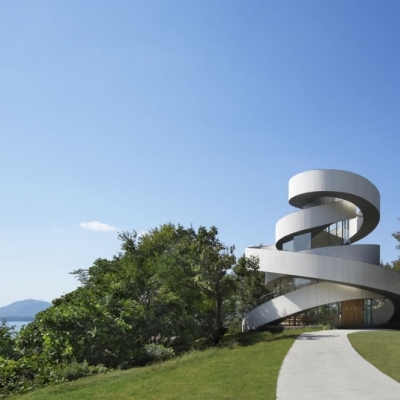 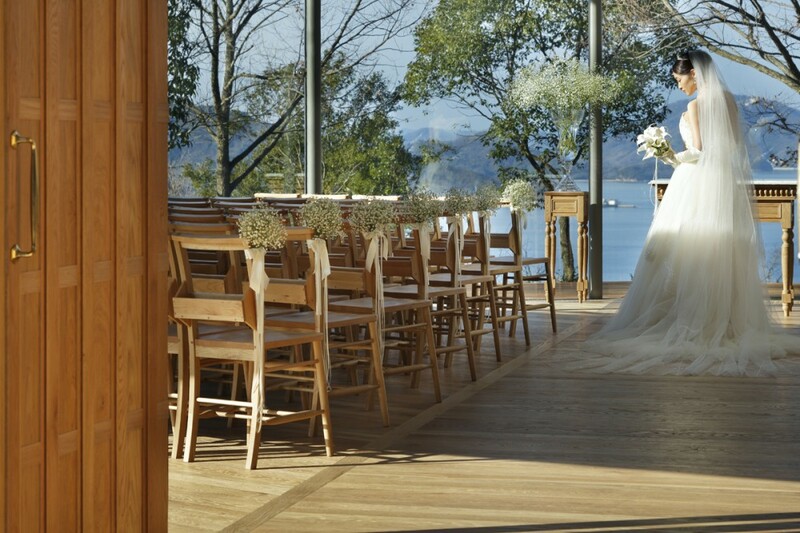 This wedding chapel stands in a garden of a resort hotel, “Bella Vista Sakaigahama,” in Onomichi, Hiroshima. 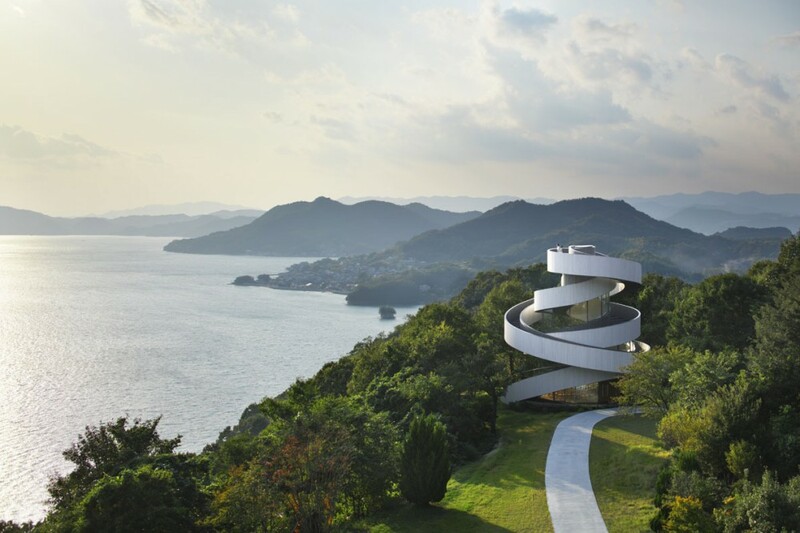 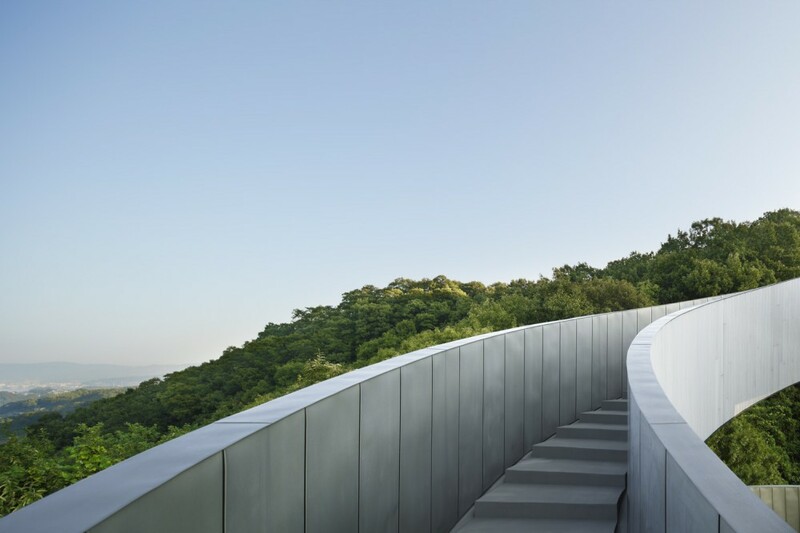 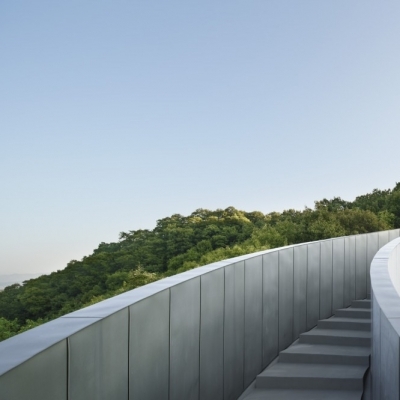 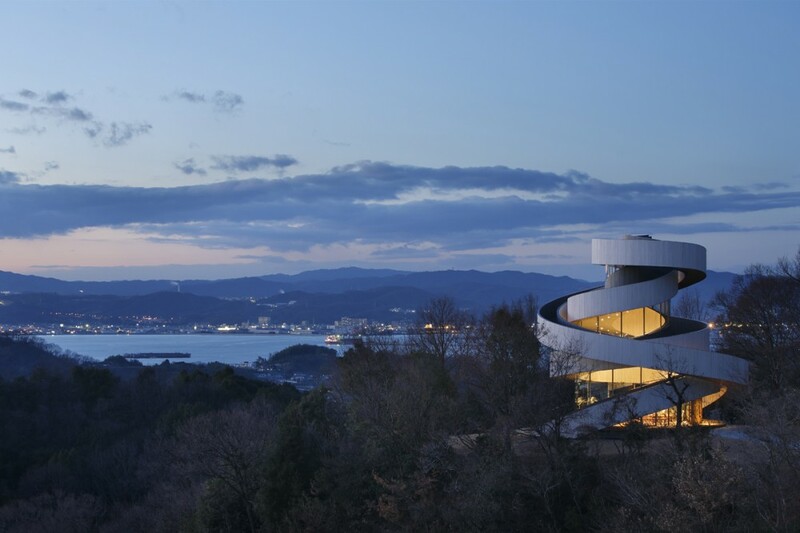 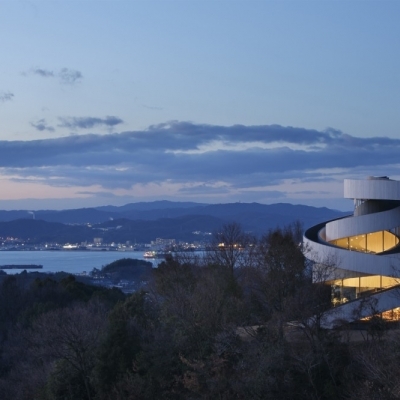 The site is midway on a hill enjoying a panoramic view of the Inland Sea of Japan. 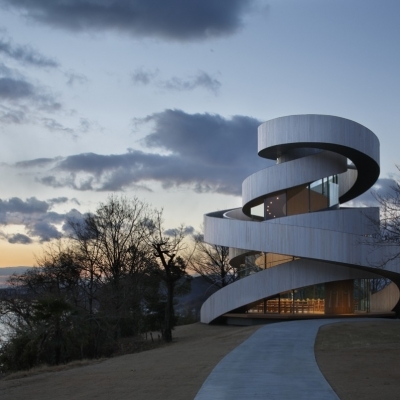 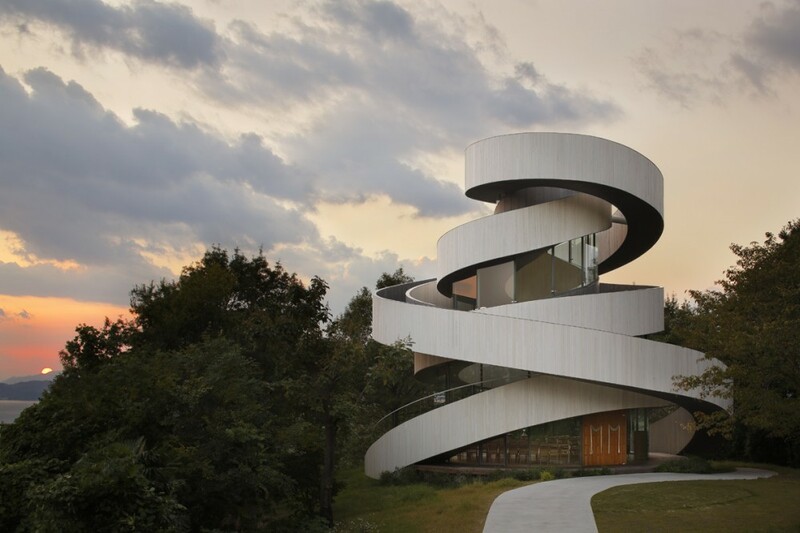 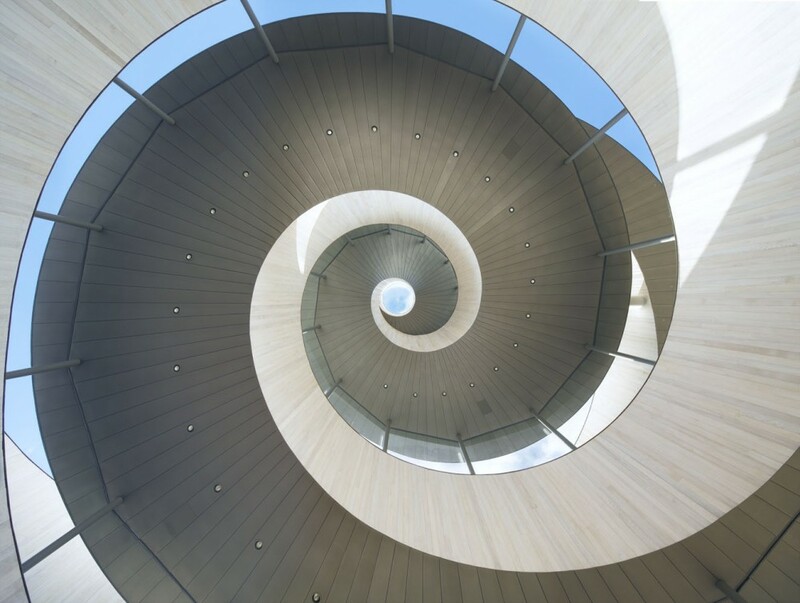 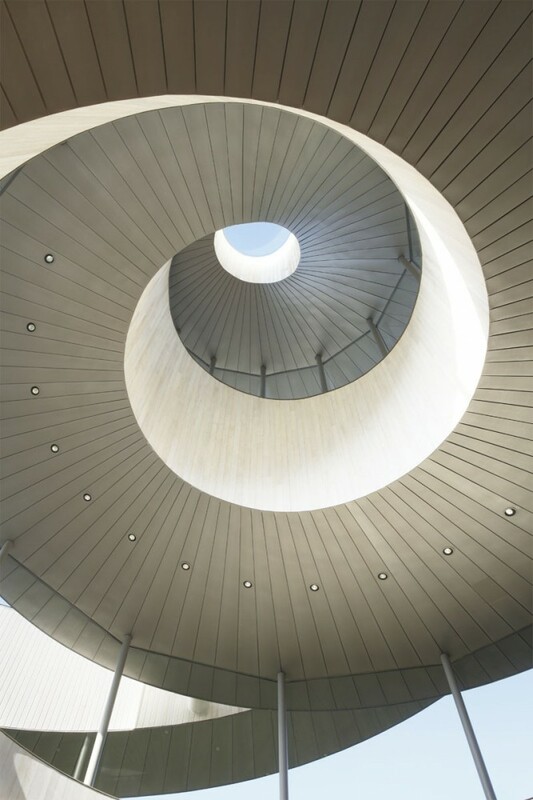 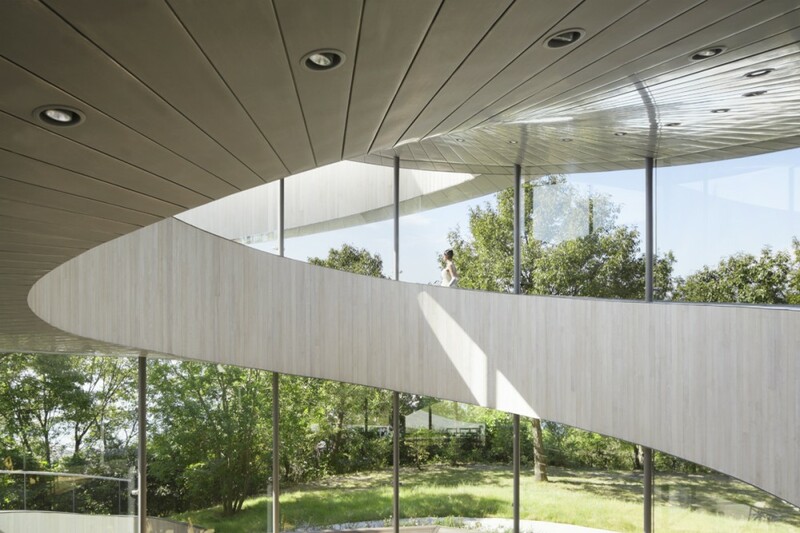 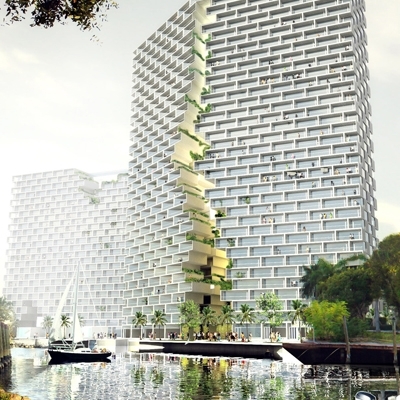 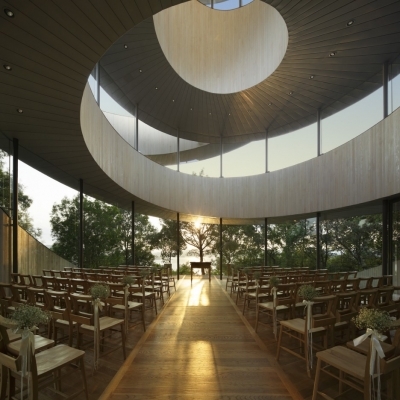 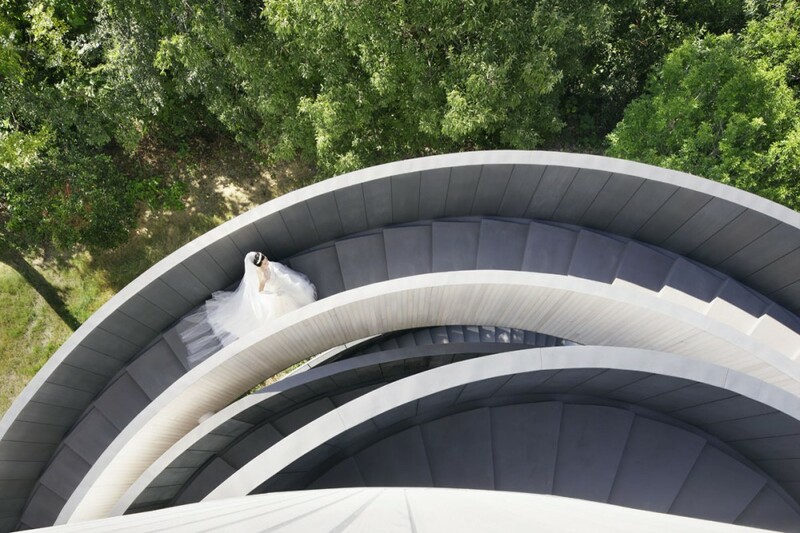 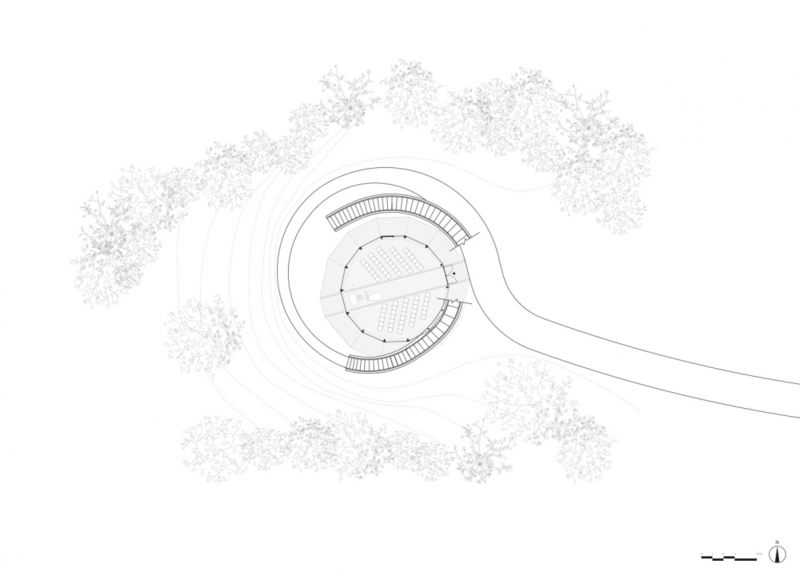 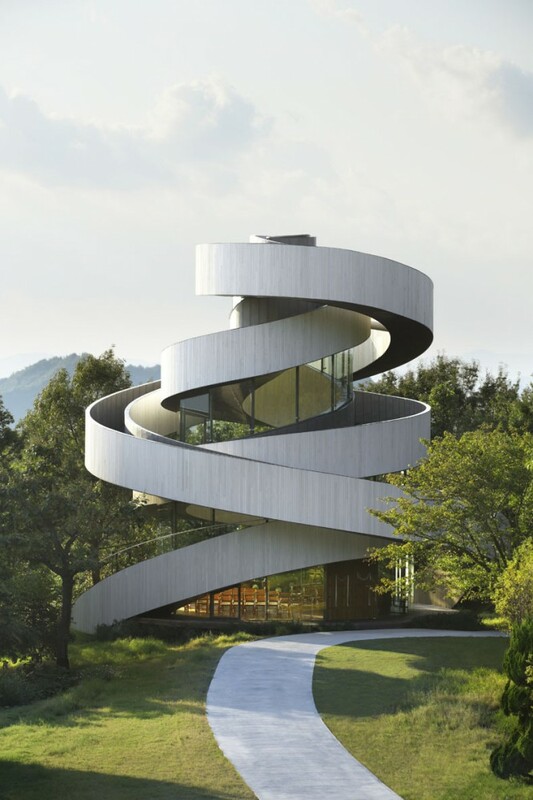 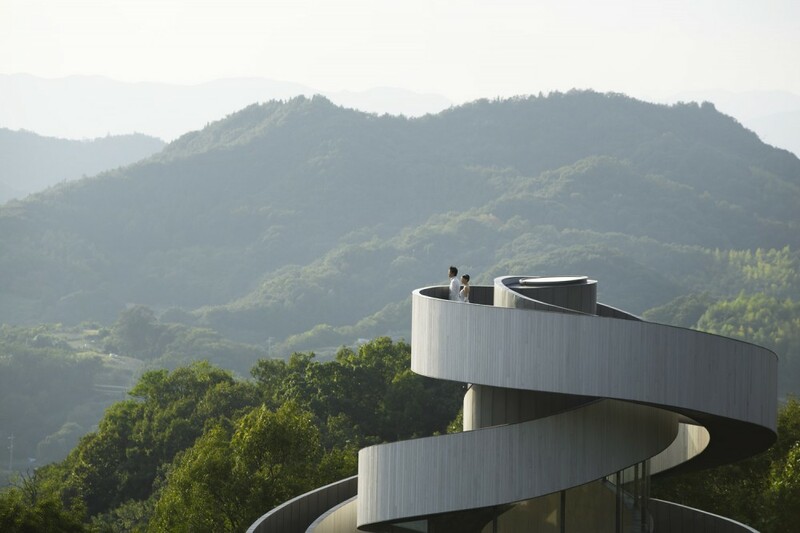 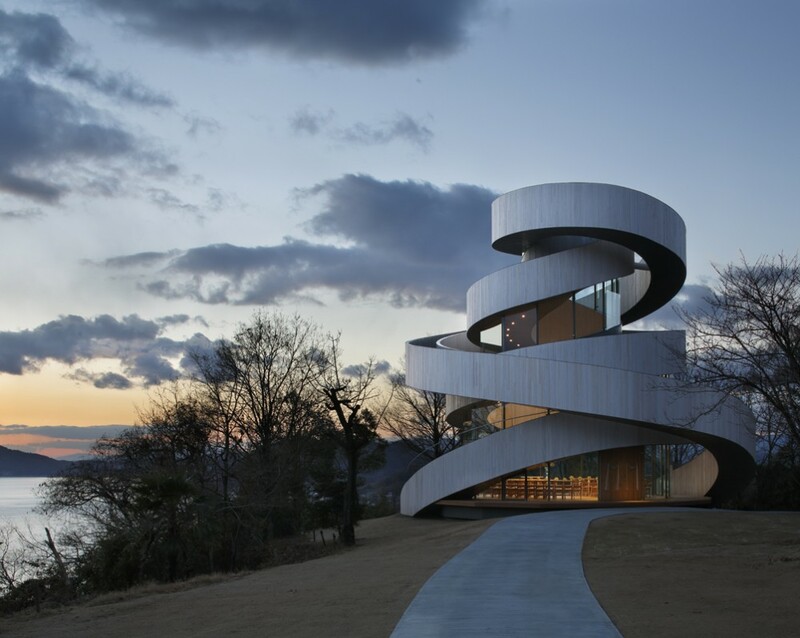 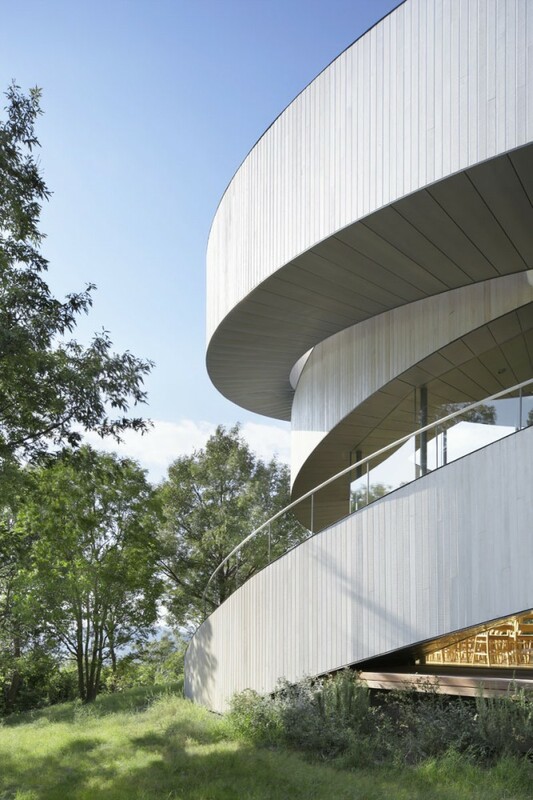 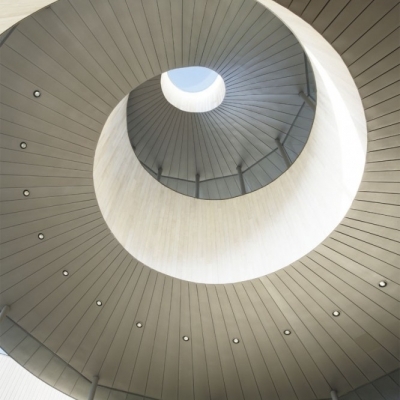 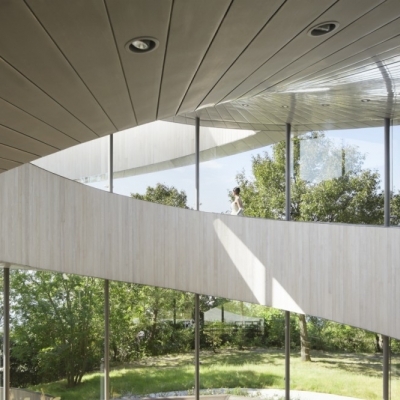 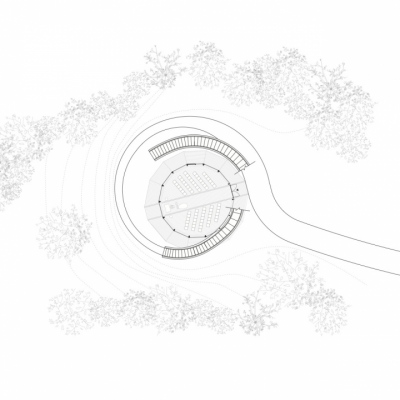 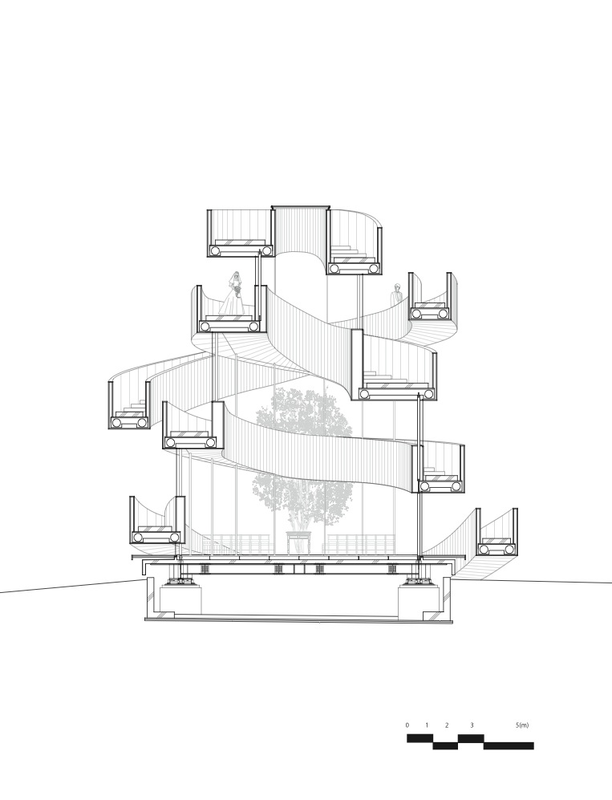 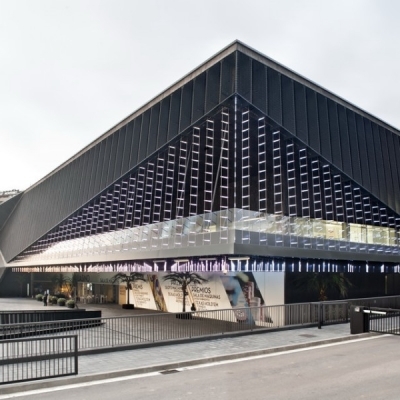 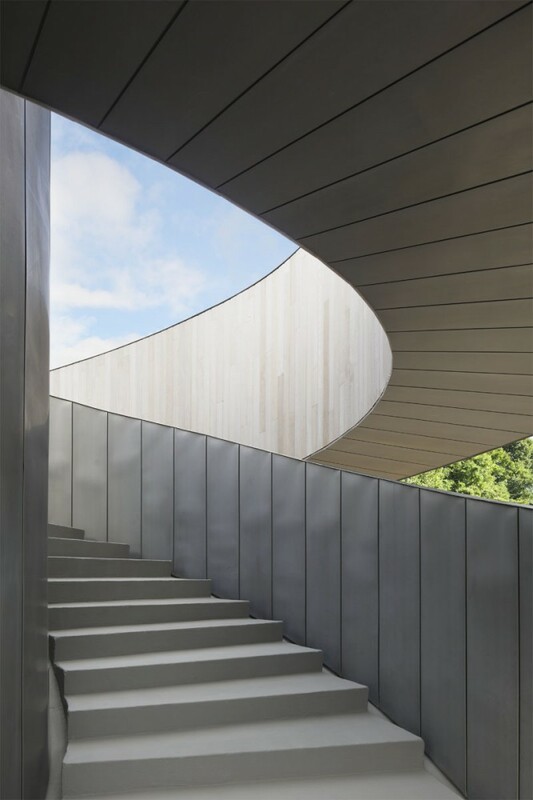 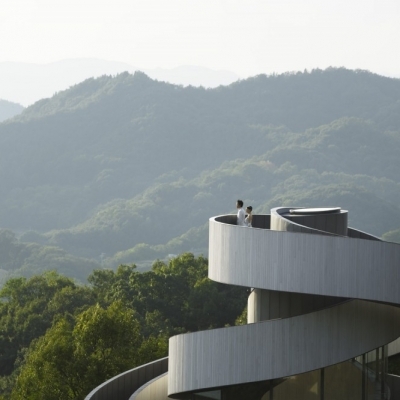 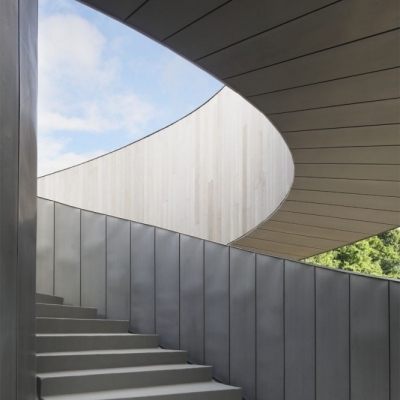 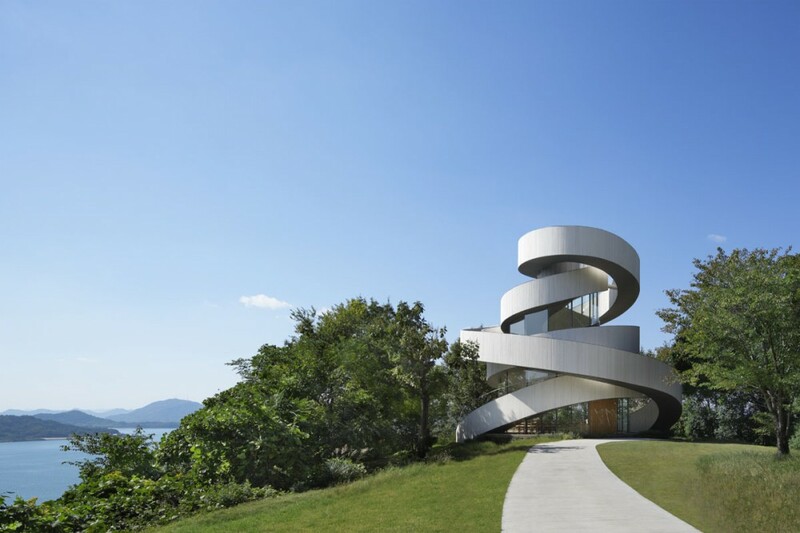 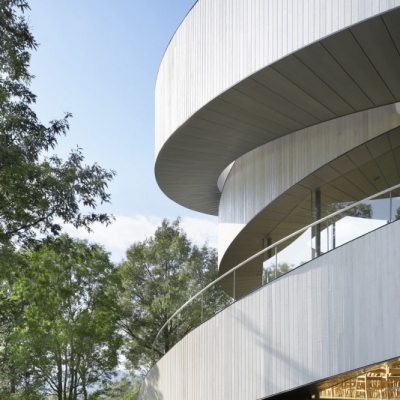 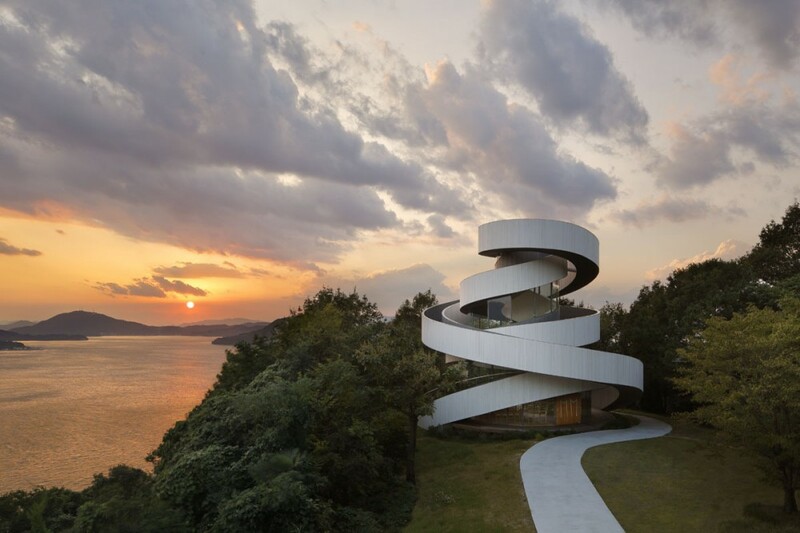 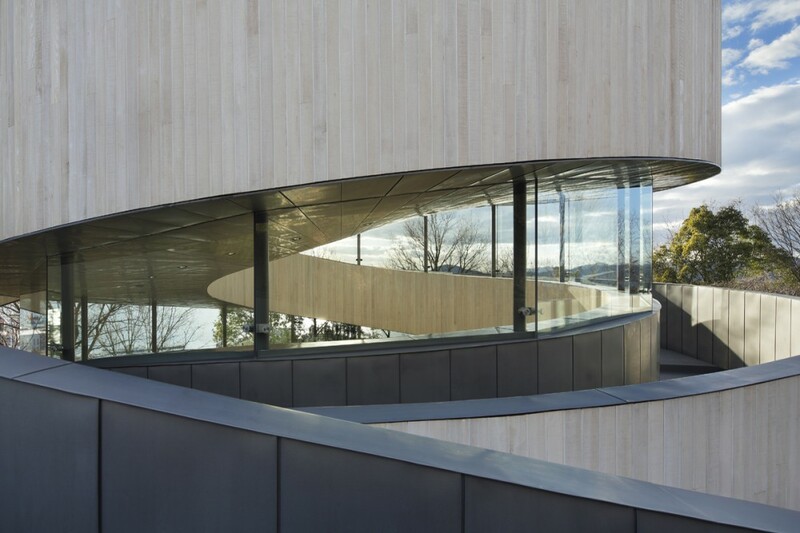 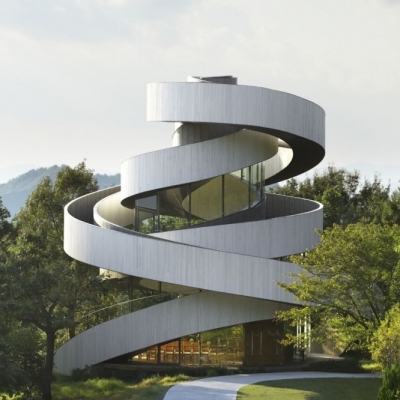 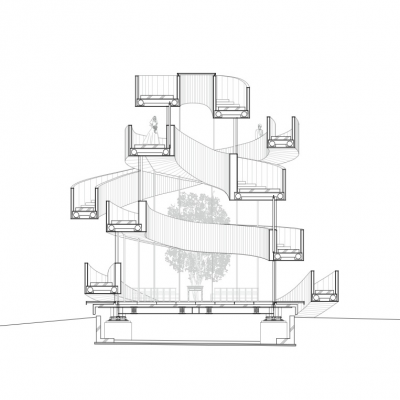 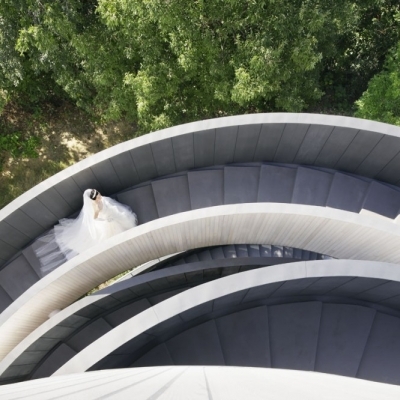 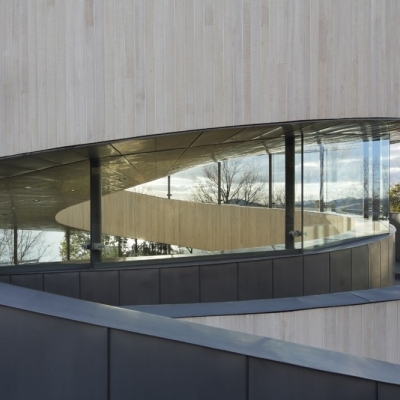 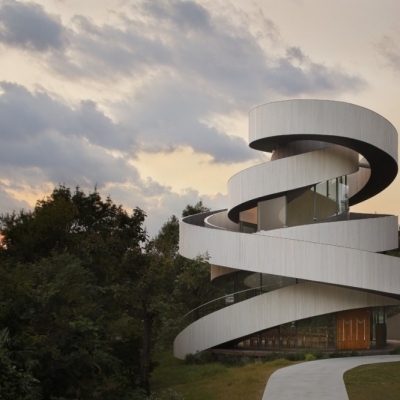 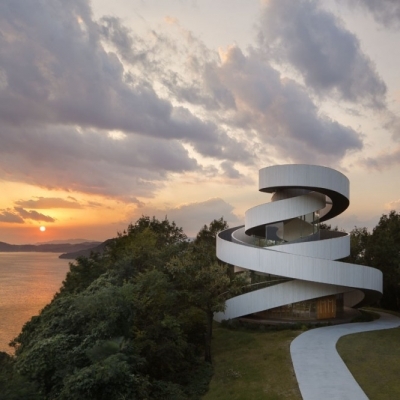 By entwining two spiral stairways, we realized a free-standing building of unprecedented composition and architecturally embodied the act of marriage in a pure form. 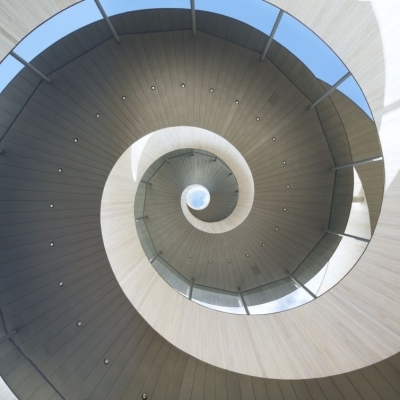 A single spiral stairway would be unsteady in a horizontal direction and is prone to vibration in a vertical direction, hence, very unstable. 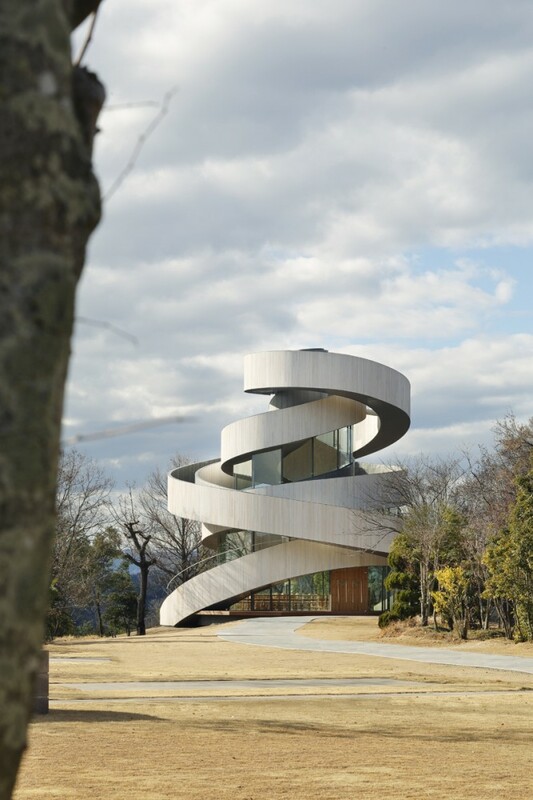 By joining two spiral stairways so that one supports the other, we produced a free-standing structure. 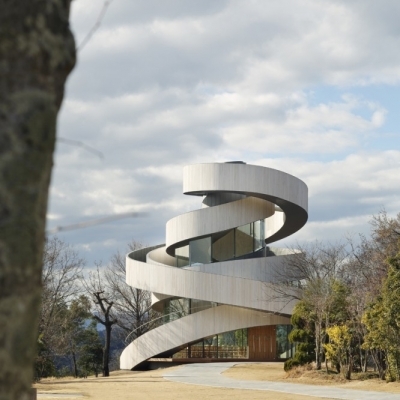 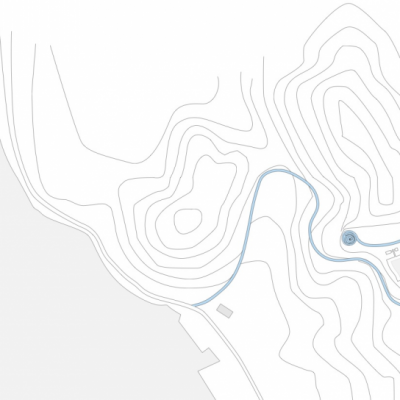 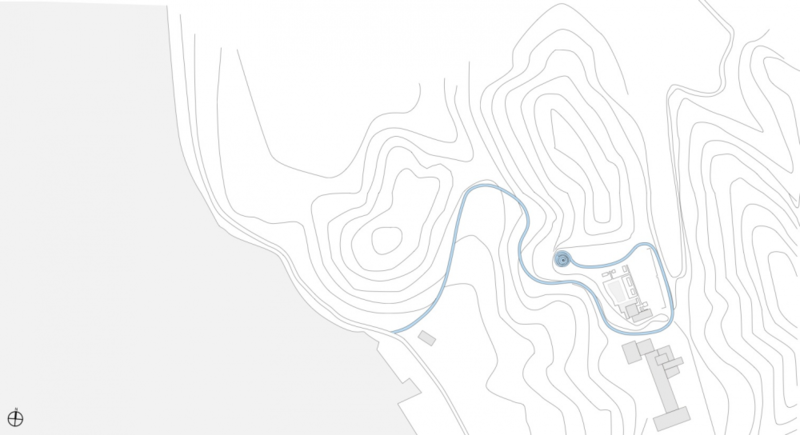 Just as two lives go through twists and turns before uniting as one, the two spirals seamlessly connect at their 15.4m summit to form a single ribbon. 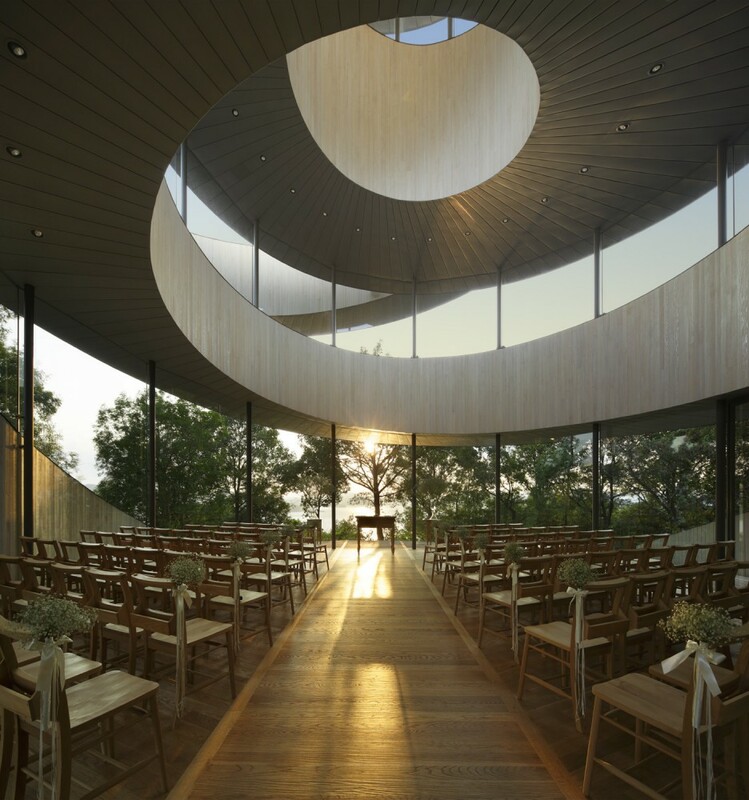 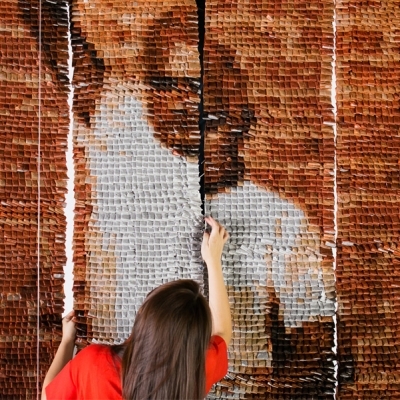 At the core of their movement is a chapel where the people who have supported the bride and groom are waiting. 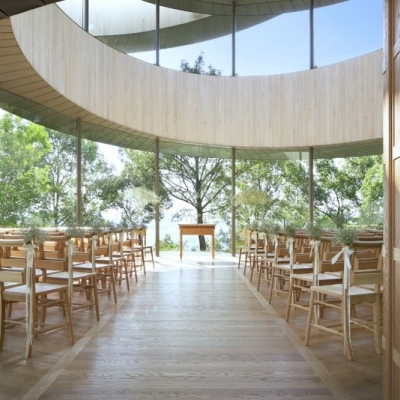 The chapel aisle looks toward an existing symbol tree. 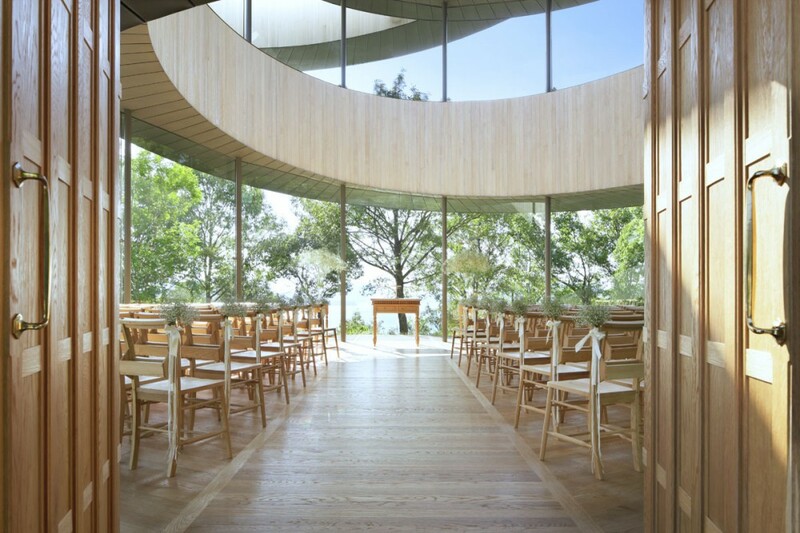 The altar stands before the tree, and 80 seats are positioned for views to the ocean through the trees.